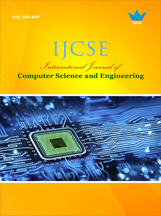 Suvendra Kumar Jayasingh, Jibendu Kumar Mantri, P. Gahan, "Comparison between J48 Decision Tree, SVM and MLP in Weather Forecasting" SSRG International Journal of Computer Science and Engineering 3.11 (2016): 39-44. Suvendra Kumar Jayasingh, Jibendu Kumar Mantri, P. Gahan,(2016). Comparison between J48 Decision Tree, SVM and MLP in Weather Forecasting. SSRG International Journal of Computer Science and Engineering 3(11), 39-44. Weather forecasting is a challenging task for the Government and the general public throughout the world. Literature survey shows that the soft computing techniques play better role in predicting the weather at a particular region than the traditional mathematical or statistical methods. Nowa- days the data mining and soft computing techniques have attained the most position in research for predicting accurate weather. This paper depicts a comparison between the 3 different soft computing techniques like J48 Decision Tree, Support Vector machine and Multi Layer Perceptions (MLP) in weather forecasting. Time series data of Delhi is collected for 5 years and fed to the 3 models. After training to the 3 models, results were compared and it was concluded that the performance of J48 decision tree is consistently better. Radhika, Y., and M. Shashi. "Atmospheric temperature prediction using support vector machines." International Journal of Computer Theory and Engineering 1.1 (2009): 55. Paras, Sanjay Mathur. "A Simple Weather Forecasting Model Using Mathematical Regression." Indian Research Journal of Extension Education12.2 (2016): 161-168. Baboo, S. Santhosh, and I. Kadar Shereef. "An efficient weather forecasting system using artificial neural network." 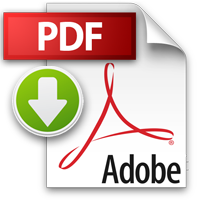 International journal of environmental science and development 1.4 (2010): 321 - 326. Sharma, Arvind, and Manish Manoria. "A Weather Forecasting System using concept of Soft Computing: A new approach." 2006 International Conference on Advanced Computing and Communications. IEEE, 2006. Hayati, Mohsen, and Zahra Mohebi. "Application of artificial neural networks for temperature forecasting." World Academy of Science, Engineering and Technology 28.2 (2007): 275-279. Gill, Er Jasmeen, Er Baljeet Singh, and Er Shaminder Singh. "Training back propagation neural networks with genetic algorithm for weather forecasting. "IEEE 8th International Symposium on Intelligent Systems and Informatics. IEEE, 2010. Lee, Raymond, and James Liu. "iJADE WeatherMAN: a weather forecasting system using intelligent multiagent-based fuzzy neuro network." IEEE Transactions on Systems, Man, and Cybernetics, Part C (Applications and Reviews) 34.3 (2004): 369-377. Wang, Nai-Yi, and Shyi-Ming Chen. "Temperature prediction and TAIFEX forecasting based on automatic clustering techniques and two-factors high-order fuzzy time series." Expert Systems with Applications 36.2 (2009): 2143-2154. Sharma M., Mathew L. And Chatterji S., “Weather Forecasting using Soft Computing and Statistical Techniques”. International Journal of Advanced Research in Electrical, Electronics and Instrumental Engineering, ISSN ONLINE (2278-8875) PRINT(2320-3765), 2016. Rahul G.K., Khurana M. And Sinha A.K., “Weather Forecasting Using Soft Computing: Minimum Temperature, Maximum Temperature & Pressure”, International Journal of Engineering Research and Developmemt. Volumeb7, Issue 11(July 2013), pp. 10- 17. Bhatkande S. S. And Hubballi R.G., “Weather Predictionbased on Decision Tree Algorithm Using Data Mining Techniques”, International Journal of Advanced Research in Computer and Communication Engineering, Vol. 5, Issue 5, May 2016. J48 Decision Tree, Support Vector Machine, Multi Layer Perceptron, Time Series Data, Weather Forecasting, WEKA (Waikato Experient and knowledge Analysis).